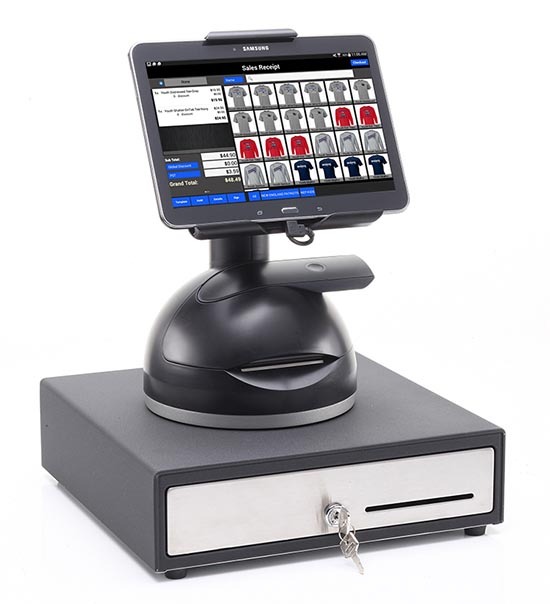 eMobilePOS for Android tablets is an all-in-one POS software that fits all the functionality of a traditional POS workstation into a tablet, providing stylish design, intuitive use, and flexibility—at significantly lower cost. From speedy checkout to keeping track of customers, inventory, and sales performance, eMobilePOS does it all. 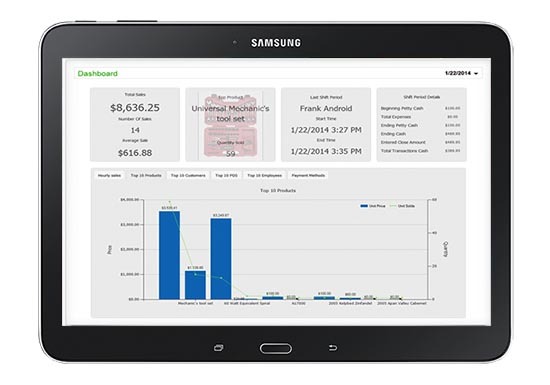 Easy-to-use interface for Android tablets that both employees and customers are used to from their everyday lives—gets everybody up to speed in a snap. Highly scalable—use in small mom and pop’s stores and restaurants as well as corporate chains with many locations. Easily configurable interface—for use in quick service restaurants, bars, coffee shops, food trucks, boutiques, specialty stores, large retail chains, and department stores. eMobilePOS can be operated as a stand-alone POS solution but also offers compatibility and full integration with QuickBooks, SAGE 50/100/300/500, Microsoft Dynamics RMS, Retail Pro, Oracle and SAP to mention a few. 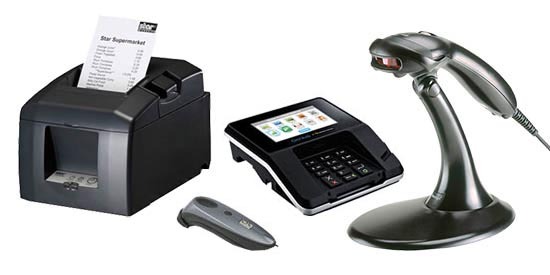 A broad range of certified peripherals, including secure POS stands, EMV certified chip and PIN readers, MSRs, receipt printers, and bar code readers allows merchants to turn the Android tablet into the perfect POS solution. eMobilePOS offers EMV compatible chip and PIN payments as well as the ability to process checks (ACH and Check21), gift cards, and cash. In addition, it supports Apple Pay, Google Wallet and other contactless payments. Since eMobilePOS is a native application, it can process both online and offline sales. A web portal with dashboard analytics allows merchants track sales activities in real-time as well as see transaction history with the ability to view more detailed information about a specific transaction or the most popular products.  At checkout the customer has the option to sign up for a customer loyalty card and enter his or her loyalty card number to earn or redeem points. It allows merchants to track customers and send personalized promotions. In addition, merchants can issue gift cards from inside eMobilePOS. Experience eMobilePOS for iPad Live.